I want to support a community of caring, passionate activists who join the slow fashion movement from a place of love for planet and people. My upbringing in India inspires me to support artisans and craftsmanship across the developing world and this is mission is fundamental to Syra Brownlock. As an Indian I know exactly what 'the true cost' of fast fashion looks like - women and children (predominantly) in the developing world forced by circumstance to take poor-paying work in unsafe conditions. But the ethical consumerism and slow fashion movements are so powerful, and I'm thrilled to be a part of that! Growing up in India and then Europe, I saw how our artistic cultures connect us - and how clothing unites us all. Many cultures use the ikat technique of weaving, and batik is common across Asia for example. I love the anthropology of textiles, global customs around clothing, design and fashion. Museums, art galleries, books, podcasts, and stories inspire me, and go into each of my designs. Your piece is a truly global one, inspired by diverse cultures and made from materials from different countries. Each piece is named after an ethical fashion brand, designer or activist who also inspires me. You can read their story on each product page, and I hope they inspire you too! Everything is made to order, meaning your piece is unique. It can be made either to your exact measurements, or to your general size. You decide! Bespoke clothing puts you at the hearty of the process. Your piece is totally unique, and crafted by you. Chose a fabric or colour you love, and add custom details like button colour. Put yourself in the shoes of a designer. I’ll work tirelessly to make your vision a reality. No one in the world will have a piece like yours. Stand out from the crowd, and feel as fantastic as you look in a totally tailored piece. If I can't trace its production transparently and fully, I don't use it. Wherever I can support women and artisans in the developing world, I do. You can read my ethical policy here. All my fabrics are sourced directly from producers who dictate their own terms and their own prices. This involves cultivating relationships with specific cooperatives, textile traders, ethical wholesalers, and smaller shops. I’ve been doing this for more than a decade and I’m thrilled to bring their work to you! I share all the information I can on my blog, and with customers. You'll know exactly where everything that went into your piece came from. I share the cultural story behind your item's design, the story of the people who made the fabric, all of it. That includes information about production techniques, and my partners. And there'll be lots of info on textile anthropology too! It is interesting, I promise. If you want to learn more, check out the resources page! Everything I create is made entirely by me - the designs, patterns and your clothes. I charge a fair wage for my work and for the higher costs of these materials. But I also know that price is the biggest deterrent from slow fashion, so I try to be fair to you too so rates are competitive with the high street. Check out this blog post for more! All of my work contributes in some way to a zero-waste and circular economy. No single-use plastic is used in any of my work - even in the packaging of products I buy online. No synthetic materials are used in any of the fabrics, so everything is bio-degradable. 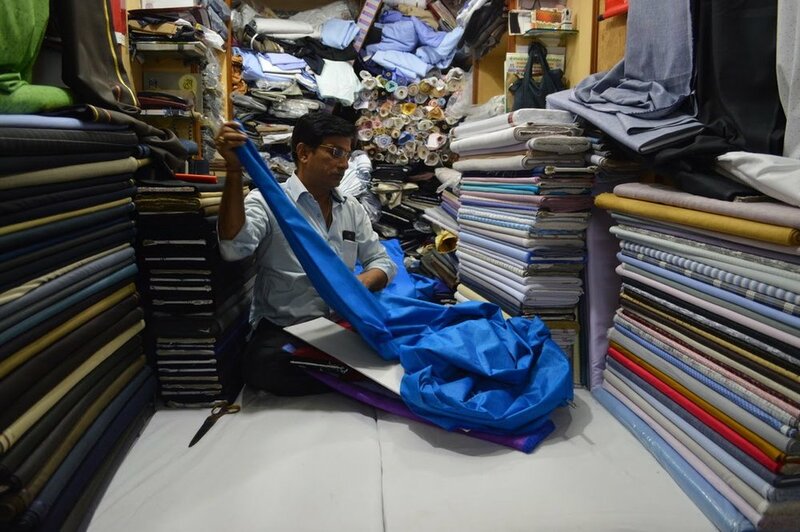 Because everything is made to order specifically for each customer, there's also no waste or excess fabric, or rails of clothing taking up space in a warehouse. If alternative fibres - such as lyocell - are used but the fabric hasn't been spun, dyed, or traded ethically, that still counts as a win and I will still support it. But I will also be clear about what it doesn't provide. I also use deadstock and remnant fabrics. These are the final few metres on bolts of fabric, often disposed of (or burned!) by large fashion houses. These may not be ethically created, but in salvaging them, our environmental impact is lower.